Home Medical Can Cannabis Be Used for Lupus Treatment? Lupus is a chronic, devastating autoimmune disorder characterized by progressive inflammation and debilitating pain. Autoimmune disorders are the result of dysfunctional immune systems and the generation of self-attacking antibodies against one’s own healthy cell/tissue. Persistent and prolonged autoimmune attack contributes to inflammatory reaction and permanent damage of the affected cells. The exact cause of lupus pathogenesis is unknown; however, genetic (inherited) and environmental factors have been implicated. Systemic lupus erythematosus – attacks several body organs including skin, joints, blood vessels, etc. Untreated lupus typically leads to severe complications including seizures, renal damage and failure, stroke, increased cardiovascular risk, bone necrosis, risk of miscarriage, preeclampsia, and preterm birth in pregnant women, vasculitis, pericarditis, anemia, risk of blood clotting or bleeding, anemia, pleurisy and increased risk of developing cancer. Typically, the onset of lupus is diagnosed between the ages of 15 and 45 in both genders. Although lupus is common in all races, the risk is higher in women of African origin. Currently, no effective treatment is available for lupus – only symptom management. Lupus symptoms greatly vary from one patient to another, the treatment used, and depend on flares and remission. Some of the more common treatments for lupus are non-steroidal anti-inflammatory drugs (NSAIDs) to alleviate pain, inflammation and fever, corticosteroids to reduce pain and inflammation, immunosuppressants to calm down a dysfunctional immune system and anti-malarial drugs to treat blood clotting, inflammation and rashes. On prolonged treatment, all of these medications can cause moderate to serious adverse events including renal damage and cardiac side effects. It is in a Lupus patient’s best interest to use non-toxic treatment options or medications with fewer side effects. Medical cannabis could help lupus patients by relieving nausea, debilitating pain, and inflammation and can also calm down the dysfunctional immune system. When compared to conventional medications, the side effects are generally tolerable and temporary. The functional existence of the endogenous cannabinoid system (ECS) can be well understood by the neurobehavioral and immunosuppressive effects of cannabinoids. The CB1 receptors are widely expressed in the central nervous system and mediate neurobehavioral effects, whereas the CB2 receptors are predominantly expressed in the immune cells and mediate immunosuppressive effects. The components of the ECS that include endogenous and exogenous cannabinoids that modulate the immune system are termed as the immunocannabinoid system. This system is involved in the immunomodulation by suppression of immune cell activation, modulation of T helper cells, including Th1 and Th2, and also the inhibition of the release of proinflammatory cytokines and NF-B-dependent apoptosis. Comparatively higher expression of CB2 receptors than CB1 receptors have been observed in the immune cells such as dendritic cells and other effector cells of the immune system. The expression of cannabinoid receptors are also influenced by activation factors. CB2 receptors mediate inhibitory effects on effector cells including T-lymphocytes, macrophages, natural killer cells and also Th1 proinflammatory cytokines. Studies have shown the key role of the immunocannabinoid system in the immunomodulation. Research studies found that polymorphism (dinucleotide polymorphism) in CB2 receptors increased the risk of developing autoimmune disorders due to impaired immunomodulatory response of endogenous fatty acid amides. Thus, we can understand the role of CB2 receptors and its ligands/agonists in the modulation of immune response in both healthy and diseased states – including autoimmune disorders such as multiple sclerosis and rheumatoid arthritis. Although the influential role of CB2 receptors as a risk factor for autoimmunity has not been widely elucidated, this evidence confirms CB2 polymorphism as one of the risk factors for autoimmunity. This means an individual’s susceptibility to develop autoimmune disorder (including SLE, or systemic lupus erythematosus) greatly depends on the ECS or immunocannabinoid system. So, targeting the ECS by its ligands might be helpful to treat autoimmune disorders such as SLE, rather than trying symptom management with conventional therapeutic drugs. Studies have shown that human regulatory T cells (Tregs) play a key role in the prevention of autoimmunity, and suppressed Treg function can contribute to autoimmune disorders. Treg dysfunction and conversion into effector cells in response to inflammation has been reported in autoimmune disorders. Suppression of CD25 Treg with decreased FoxP3 mRNA and protein expression as a result of Treg dysfunction has been observed in multiple sclerosis patients (RRMS). Likewise, responder T cell resistance to Treg suppression has been reported in various autoimmune disorders including type 1 diabetes and systemic lupus erythematosus. The predominant presence of CB2 receptors and sparse expression of CB1 in the immune system suggests the immuno-regulatory role of cannabinoids. THC administration resulted in apoptosis of dendritic cells and T cells, leading to immunosuppression. Cannabinoids have been shown to downregulate cytokine and chemokine production, while up-regulating Tregs to suppress inflammatory responses. As the endocannabinoid system is also involved in the immunoregulation and manipulation of endocannabinoids, then the administration of exogenous cannabinoids could lead to immunosuppression and prevention of immune-mediated injuries in autoimmune disorders. Additionally, up-regulating Tregs and down-regulating pro-inflammatory chemokines by cannabinoid treatment might be helpful to treat lupus symptoms. Interleukin-6 (IL-6) is a multifunctional cytokine involved in the inflammation and tissue injury in diseased states, including autoimmune diseases. Hence, inhibiting IL-6 biosynthesis might be helpful to treat lupus. Administration of the synthetic, non-psychoactive cannabinoid (Ajulemic acid) significantly inhibited IL-6 mRNA expression and resultant suppression of IL-6 secretion. According to a recently published study, THC induces epigenetic changes in gene regulation and suppresses inflammation. 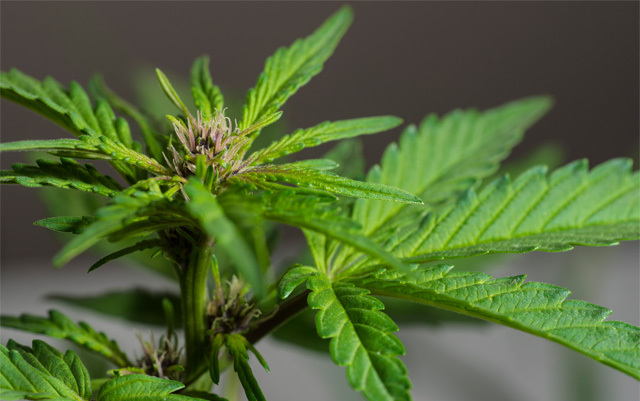 The study found that THC activates the expression of certain genes via histone modification active signaling of Th2 cytokine genes (anti-inflammatory) and suppressive modification signaling of Th1 cytokines genes (pro-inflammatory). Meaning, cannabinoids promote switching of Th1 to Th2 and thus suppresses inflammatory immune responses. Additionally, cannabinoids increase the expression of anti-inflammatory protein IL-10 and suppresses the expression of pro-inflammatory proteins IL-2 and IL-6. In this way, cannabis can ease the pain of lupus symptoms by suppressing inflammatory immune response. Similar results were observed in other independent studies. As we know, lupus is an inflammatory and immune dysfunctional disorder, therefore targeting inflammatory and associated immune responses could be a viable therapeutic option to treat SLE. Cannabinoids are not just for alleviating inflammation and immune dysfunction; as SLE patients tend to suffer body ache and generalized pain, cannabis use could be helpful to manage the pain symptoms and to improve the quality of life in SLE patients. According to a survey study that enrolled 209 chronic non-cancer pain patients, cannabis use improved pain, sleep quality and mood and only causing tolerable adverse events including ‘high’ and dry mouth. As available research evidence is limited to recommend cannabis as a monotherapy for lupus treatment, it is always good to use it as an adjunctive therapy with conventional treatments for better management of symptoms. As every individual’s symptoms are different and they respond differently to cannabis treatment, it is advisable to start with a low dose of cannabinoids, which can be optimized later based on treatment response. This article is made available for educational and general information purposes only and is not intended to provide medical advice. Previous articleIs Making Ethanol from Hemp a Real Possibility?